The Institute for Research in Immunology and Cancer (IRIC) of the Université de Montréal recently launched the 2018 edition of its IRIC Next Generation Awards program. 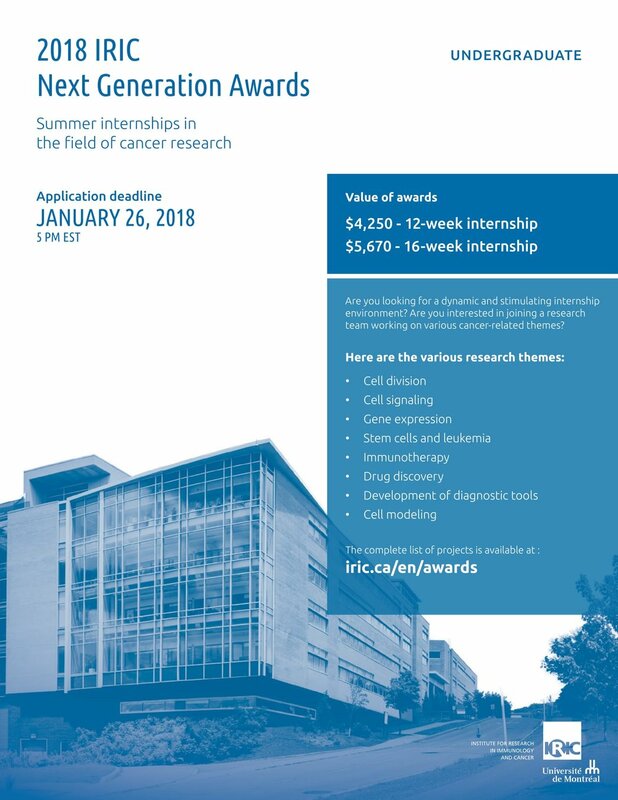 The awards offered through this program come with a 12-week or a 16-week internship in one of IRIC’s 28 research teams during summer 2018. The program is open to Canadian undergraduate students. In addition to joining one of IRIC’s 28 research teams for the summer of 2018, selected applicants will receive an internship award to support their research experience. Awardees may also be offered the opportunity to continue their project at the graduate level.